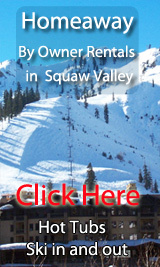 Find your own ski in and out by owner rental in Squaw Valley-click on this link! Squaw Valley Fivespot Cabin - 1 bedroom, 1 bath, SLEEPS 5, from $139/nt- Book it! Trip Advisor #HL331142 -Fivespot is just 15 minutes to Kings Canyon - Sequoia National Park in California's spectacular Sierra Nevada. Giant sequoia trees, jaw-dropping Kings Canyon, High Sierra hikes: all yours without the crowds you'd find in Yosemite. The cabin: cute, homey, comfortable, wi-fi, classic book collection, fireplace, sauna, artful tilework, outdoor shower, covered patio, hummingbird feeders, fresh flowers, a quirky, international knick-knack collection, full kitchen, BBQ, laundry. Built in the 1940s, it was completely renovated in 2008. Although fivespot is most definitely a mountain retreat - it's one hour to the nearest grocery store, one-half hour to the nearest gas station - you won't be alone. We live in the house next door (although your privacy is assured) and can give advice on the best Park trails and experiences. We lived in New York City for many years and know how valuable it is to tap into local expertise, so you can get the most out of your vacation. 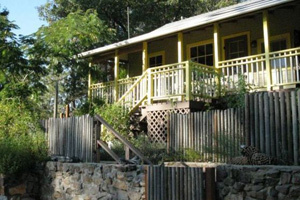 VRBO 923541-Sequoia Resort is family owned and operated – 377 acres of Sierra Foothill property with oak and pine trees. Close to Kings Canyon National Park (half-hour drive) and Sequoia National Park (55-minute drive). The Resort is open year-round, and there are Park activities for every season! 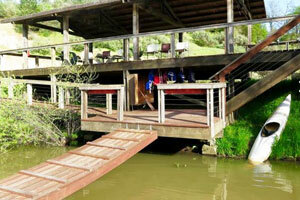 The Resort has hiking trails and a fishing pond with rowboats, barbeque deck and volleyball court and horseshoes. Free bikes to ride and a trampoline for the kids! Free internet connection at the Office. Driving time from Los Angeles or San Francisco approximately 4.5 hours. Fresno International Airport 1 hour away.Pets are welcome! To accommodate family reunions, retreats and workshops – several Sequoia Resort houses (Creekside and Deer Park are additional homes) can be reserved.Lake View vacation home is large and comfortable, featuring a wrap-around deck with forest and mountain views. Outdoor dining area with propane barbeque. Large living room and full kitchen. Trip Advisor #FKN2433894-Sequoia Resort is family owned and operated – 377 acres of Sierra Foothill property with oak and pine trees. Close to Kings Canyon National Park (half-hour drive) and Sequoia National Park (55-minute drive). The Resort is open year-round, and there are Park activities for every season! 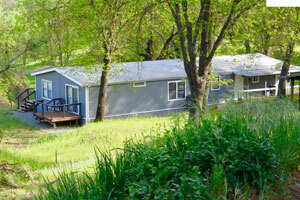 The Resort has hiking trails and a fishing pond with rowboats, barbeque deck and volleyball court and horseshoes. Free bikes to ride and a trampoline for the kids! Free internet connection at the Office. Driving time from Los Angeles or San Francisco approximately 4.5 hours. Fresno International Airport 1 hour away.Pets are welcome! To accommodate family reunions, retreats and workshops – several Sequoia Resort houses (Creekside and Deer Park are additional homes) can be reserved.Lake View vacation home is large and comfortable, featuring a wrap-around deck with forest and mountain views. Outdoor dining area with propane barbeque. Large living room and full kitchen. 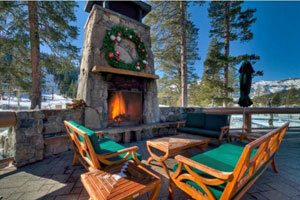 Resort@Squaw Creek,4 star amenities, SLEEPS 8, SKI IN/OUT POOL-hottubs,spa-ahh!Luxury!!!!! !2 bedroom, 2 bath, ave nightly $413- Book it! VRBO 222623 -Nestled in the heart of Squaw Valley and just minutes from the shore of Lake Tahoe, Resort at Squaw Creek offers incredible access to everything Tahoe. From ski-in/ski-out* access to Squaw Valley, USA in winter and an 18-hole championship golf course in summer, to a buffet of year-round outdoor recreational opportunities, special events, extraordinary culinary experiences, and the award-winning Spa at Squaw Creek, you will run out of time before you run out of things to do.Check out my new Virtual Tour!! (see link below). Be amazed at the 200 acre 4 star RESORT AT SQUAW CREEK. So much to do. From skiing to ice skating to golf, tennis , biking. hiking, and year round swimming. This rare extra large unique 'end unit' has 9 floor to ceiling glass living room with views of skiers ,the forest and the mountain. Just underwent a $40,000 upgraded remodel. New carpet, drapes, furniture, art, paint- It's gorgeous. It can be rented as a 2 BR, and in off seasons as a 1 BR or a studio. 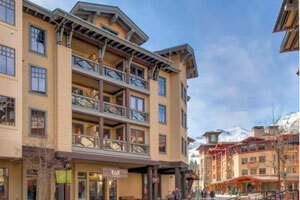 Sequoia Resort House 4 - 3 bedrooms - 2 baths - SLEEPS 8, from $198/nt- Book it! 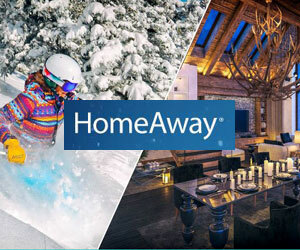 Squaw Valley, Idaho By Owner Rentals- Our Blog!